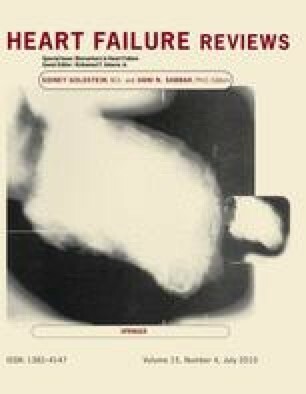 The diagnosis and management of heart failure remains challenging despite considerable clinical advances in recent decades. With greater understanding of the pathophysiology of this complex syndrome, a large number of candidate biomarkers have emerged and duly received scientific and clinical attention. These are frequently a measure of the degree of pathophysiological derangement or counter-regulatory processes occurring in heart failure and include biomarkers of neurohormonal activation, myocyte necrosis and myocardial remodelling amongst others. As such they may serve as an indicator of the presence, severity and possibly therapeutic response of the heart failure syndrome and may complement conventional clinical measurements and acumen. This may in turn lead to tangible clinical benefits and the targeting of intensified and often costly therapies to those most at risk. This article reviews and summarises the most extensively investigated biomarkers currently available, with an emphasis on clinical applicability and discusses the future evaluation of candidate biomarkers in patients with heart failure. Dr. Rocchiccioli is funded by a Clinical Research Training Fellowship from the British Heart Foundation and Professor Dominiczak is funded by the British Heart Foundation Chair and Programme Grant (BHF PG/02/128).